Versatility Redefined - Introducing the NEW Triumph Tiger Sport. For every day and every ride. Introducing the NEW Triumph Tiger Sport. Triumph Cruisers from just $13,990 Rideaway! Triumph's New Thruxton R to preview at Island Classic! 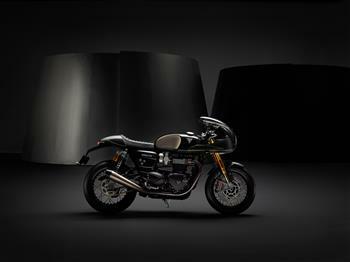 2019 Thruxton Triumph Factory Custom (TFC).